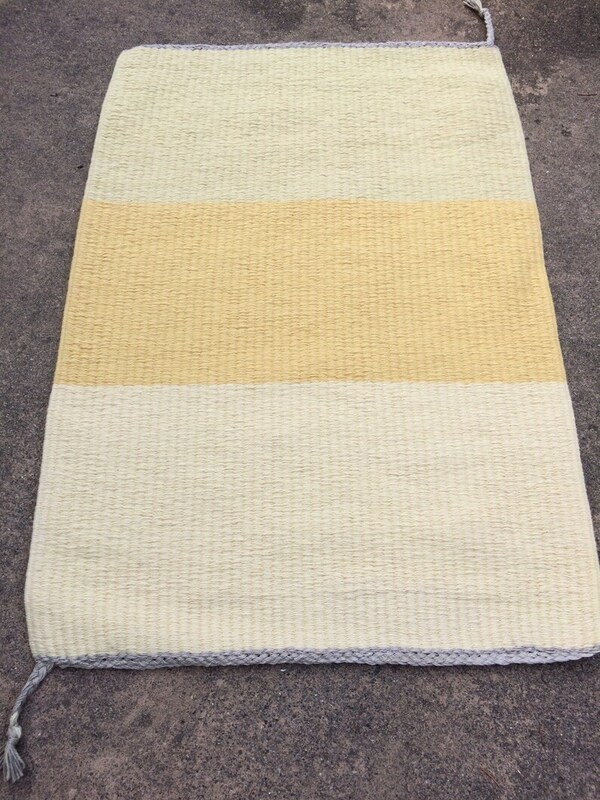 Handwoven wool rug, dyed using natural plant dyes, rhubarb and pomegranate. Gorgeous yellow color combinations. 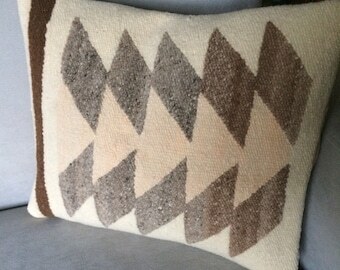 Linen ends are handwoven and braided at one end. 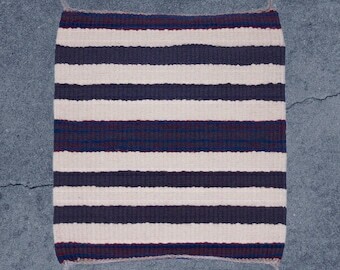 Measures 36" long and 25" wide.